The Panasonic Lumix DMC-LX3 is a new compact digital camera offering what Panasonic claim is “the highest image quality in compact camera history”. 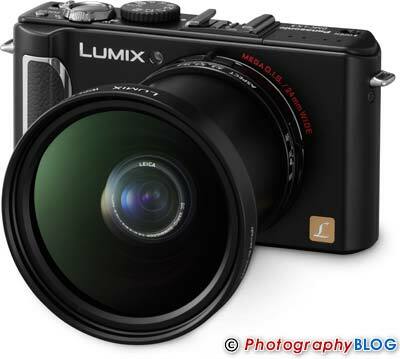 Successor to the popular LX2 model, the Panasonic LX3 features a 2.5x, 24-60mm wide-angle lens with a bright maximum aperture of F/2.0 at the 24mm setting. The LX3 features a 10.1 megapixel, 1/1.63-inch CCD developed specially for the new model, which offers around 40% greater sensitivity and 35% saturation when compared with ordinary 10-mexapixel compact cameras. The DMC-LX3 can reproduce images shot with the lens set from 24mm to 60mm in any of the three aspect ratios; 4:3, 3:2 or 16:9. It also offers the new Venus Engine IV processing engine, a large 3.0-inch LCD screen with a 3:2 aspect ratio and high 460,000-dot resolution, RAW file format support, ISO 3200 mode, 2.5fps continuous shooting, a Film mode with 6 color types and 3 types of monochrome, and a multiple-exposure function. 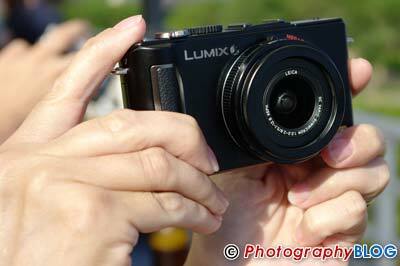 The Panasonic Lumix DMC-LX3 will be available in August in black and silver, priced at £399.99 / $499.95. Panasonic is introducing the DMC-LX3, the long-awaited addition to the popular Lumix LX series of high-end, compact digital still cameras. Designed for easy, creative shooting, the new LX3 comes two years after its predecessor, the LX2, earned an enthusiastic following among both professional photographers and serious amateurs for its exquisite image rendering, superior operating ease, and unique triple-wide system comprising wide-angle lens, 16:9 CCD and LCD. Panasonic has gone a big step further in the new LX3, upgrading every component to achieve a camera whose performance surpasses that of any compact camera that has come before. Simply put, the LX3 smashes all previous perceptions about the limitations of a digital compact camera, setting a lofty new standard in performance, quality and creative capabilities. At the core of the LX3 is a large, ultra-sensitive 1/1.63-inch CCD developed specially for the new model. The old formula equating pixel count with image quality does not always hold true. In general, if two CCDs have exactly the same physical size but different pixel counts, the one with more pixels is not necessarily better – in fact, it’s likely to generate more picture noise, especially in low-light parts of the image. This poor low-light image quality has been a source of great dissatisfaction for compact camera users. In the LX3, Panasonic responds to this problem by boldly reversing the industry trend of pushing toward ever-higher pixel counts. 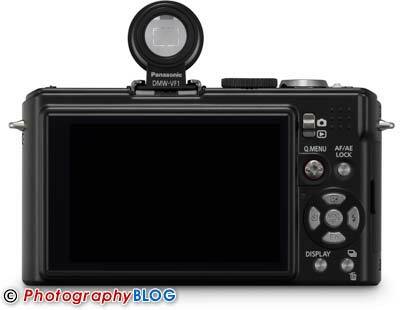 Rather than cramming in the maximum number of pixels possible, it limited the LX3’s 1/1.63-inch CCD to 10.1 megapixels. The result is a CCD that provides a generous amount of space for each pixel while offering superb sensitivity and a wide dynamic range made possible by maximizing the size of the photodiode. Panasonic also redesigned the peripheral circuits and other components to further minimize noise generation. These enhancements greatly improve imaging performance, boosting sensitivity by around 40% and saturation by around 35% compared with ordinary 10-mexapixel compact cameras. * The CCD in DMC-LX3 can reproduce images shot with the lens set from 24mm to 60mm in any of three aspect ratios; 4:3, 3:2 or 16:9, so you can always capture dynamic, richly expressive shots with a wide perspective. The newly added Multi-aspect mode allows the camera to take a image in all 3 aspect ratios simultaneously for photographer to choose the one that best takes the advantage of the scene after shooting. The LX3’s F2.0 24mm ultra-wide-angle* LEICA DC VARIO-SUMMICRON lens also represents a major step up from the LX2. The F2.0 lens is about twice as bright as the previous F2.8 lens, itself generally considered a bright lens. With the new F2.0 lens, the LX3 can shoot at higher shutter speeds and capture stunningly clear, sharp, blur-free images even in lower lighting conditions. This advanced lens also makes it easy to produce beautiful photos with pleasing soft-focused background. Also, the 24mm ultra-wide-angle lens – rare on a compact camera – gives photographers a wider range of composition possibilities. The super-high-quality LEICA DC VARIO-SUMMICRON lens minimizes distortion even at the wide end, so users can get stunning, true-to-life images with outstanding resolution and detail. The LX3 is equipped with Panasonic’s advanced image processing LSI, the Venus Engine IV. This high-speed high-performance imaging engine makes it possible to capture clean, beautiful, low-noise photos even when shooting at high sensitivity settings. Separating chromatic noise from luminance noise and low-frequency noise from high-frequency noise, and applying the optimal noise-reduction processing to each, the Venus Engine IV provides superior noise control and minimization of color bleeding. The LX3 is packed with features that enhance photo-shooting fun, ease and creativity. An easy-to-use Manual mode gives the user greater shot-making flexibility and control – ideal for those who want to explore the creative side of photography. The auto focus function lets the user select the number of auto focus points in the frame by pressing a button on the camera top. Pressing the same button after taking the shot enlarges the area surrounding the point of focus, giving the user a convenient way to check the focusing accuracy. The LX3’s customized setting function lets the user assign functions to an independent button on the camera back. In addition, up to 4 settings can be stored in memory and instantly retrieved using the Mode dial. The color temperature can be set when adjusting the white balance, which works with the conventional 2-axis compensation to allow even finer adjustment. The LX3 offers a Film mode with 6 color types and 3 types of monochrome to choose from. Much like selecting different film types with a film camera, this function gives the user the flexibility to produce more interesting and expressive images. A newly added multiple-exposure function also lets the user create artistic photo productions, overlaying up to three consecutive images while viewing the most recent image in the monitor. The LX3 boasts a large 3.0-inch large LCD with a 3:2 aspect ratio and high 460,000-dot resolution. Performance is outstanding for both shooting and viewing. A new LCD panel provides bright, easy-to-see images over a wider viewing angle. The Intelligent LCD function, standard on all Lumix models, assures comfortable viewing in virtually all conditions by automatically adjusting the backlighting of LCD as the ambient light level changes. One key advancement over previous models is the LX3’s superb expandability. Mounting the optional Wide Conversion Lens** brings the maximum wide angle all the way to an incredible 18mm. Other optional equipment such as the ND Filter** and new PL Filter** also broaden image-creating possibilities. The high-end aluminum External Optical Viewfinder provides bright, clear viewing without wearing down the battery. And the optional GN22 Compact Flash mounts to the hot shoe newly added to the LX3. These and other accessories let users build around the LX3 to create a powerful, versatile camera system that can take them as far into photography as they want to go. 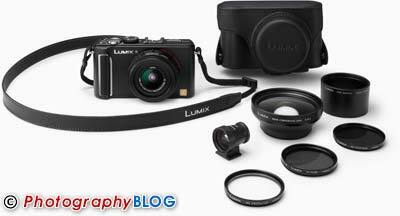 This full set of functions draws a distinct line between the LX3 and ordinary compact cameras. The LX3 stands alone as a compact camera whose image-creating capabilities rival even digital SLRs. It’s a camera that gives users the ability to capture beautiful, richly expressive images every time they shoot. 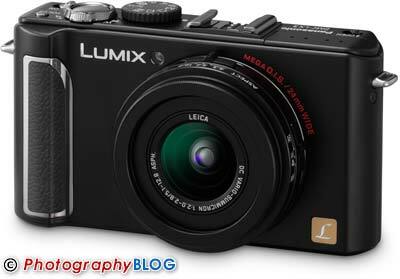 Available in black or silver, the DMC-LX3 is an excellent choice as a compact partner camera for users who own an SLR. It is also an outstanding long-term camera solution for high-level users who want the best in image quality, operating ease, flexibility and creative freedom. 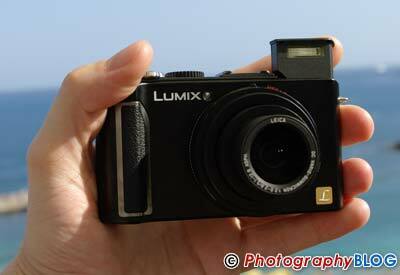 *Compared with Panasonic Lumix DMC-FX35 with 1/2.33” CCD. **Requires an lens adapter DMW-LA4. While the LX2 also featured a large CCD – its 1/1.65” CCD was just slightly smaller than the LX3’s 1/1.63” unit – in the LX3 Panasonic maximized the size of the photodiode size to boost sensitivity by around 19% and saturation performance by around 15%. Panasonic also minimized noise generation in the LX3 by using newly designed circuits around the CCD that improve the power supply process and provide a layered structure. The CCD was also given a large output buffer to further stabilize the signal and cut noise generation to a minimum. These enhancements combine to improve the S/N ratio by 3 dB. The LX3 also provides dramatically improved color reproduction in low lighting, where noise is typically a problem. Normally, to produce an image of 3:2 or 16:9 aspect ratio, 4:3picture will be cropped, so the picture does not have the maximum advantage of these extraordinary recording aspect. However, the CCD in DMC-LX3 can reproduce images shot with the lens set from 24mm to 60mm in any of three aspect ratios; 4:3, 3:2 or 16:9, so you can always capture dynamic, richly expressive shots with a wide perspective. The newly added Multi Aspect mode allows the camera to take a image in all three aspect ratios simultaneously for photographer to choose the one that best takes the advantage of the scene after shooting. A fantastic step up from the predecessor DMC-LX2 is represented by the newly developed F2.0 24mm ultra-wide-angle LEICA DC VARIO-SUMMICRON lens in LX3. The F2.0 lens is about twice as bright as the F2.8 lens, itself generally considered a bright lens. With the new F2.0 lens, the LX3 can shoot at higher shutter speeds and capture stunningly clear, sharp, blur-free images in lower lighting situation. This advanced lens also makes it easy to produce beautiful photos with pleasing soft background focusing thanks to the shallow depth of field provided by the extra light. Also, the 24mm ultra-wide-angle lens – rare on a compact camera – gives photographers a wider range of composition possibilities. The super-high-quality LEICA DC VARIO-SUMMICRON lens minimizes distortion at the wide end, so users can get stunning, true-to-life images with outstanding resolution and detail. The LX3 captures approx.213% larger viewing space compared to that normal 35mm camera does, and even approx.136% larger compared to that 28mm wide-angle lens can do. The lens unit consists of 8 elements in 6 groups with 4 aspherical lenses with 4 aspherical surfaces. Minimal distortion, high resolution, minimum artifacts such as chromatic aberrations, ghosting and flaring are the proof of uncompromising imaging made possible by F2.0 24mm ultra wide angle LEICA DC VARIO-SUMMICRON lens. 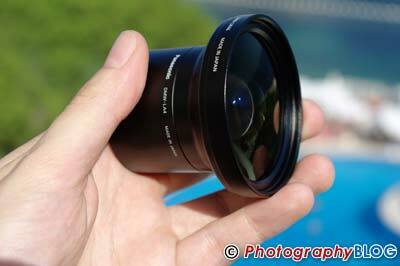 In addition, newly adopted iris diaphragm allows the users to adjust aperture at fine steps manually. The Venus Engine IV also makes it possible to capture natural-looking, true-to-life images by suppressing blocked shadows and blown highlights with the Intelligent Exposure function. It now has high, standard and low settings of effect to match the shooting conditions and desired result. In burst shooting mode, the DMC- LX3 can snap approx. 2.5 shots per second at 10.1-megapixel large full resolution. * And in High-Speed Burst shooting mode,** it fires off an incredible approx. 6 shots per second. You also get unlimited consecutive shooting, which lets you keep shooting until the memory card is full. *** Newly added Flash Burst mode makes it possible to take continuous shooting with continuous emission of flash****. Furthermore, the engine elevates the detection accuracy and corrective effect in both Mega O.I.S., which prevents hand-shake, and Intelligent ISO Control, which suppresses motion blur. *Max. 8 images in standard mode/ 4 images in fine mode. ** In 3-megapixel (4:3), 2.5-megapixel (3:2), 2-megapixel (16:9) recording. ***The consecutive shooting speed varies with the memory card, image size, and image compression mode. The number of shots depends on the memory card size, battery life, image size and image compression mode. ****Max. 5 images. In 3-megapixel (4:3), 2.5-megapixel (3:2), 2-megapixel (16:9) recording. The easy-to-use joystick operation and good design, which were part of the highly acclaimed trademarks of the predecessor, are inherited by the DMC-LX3. The joystick was incorporated to facilitate operational ease and thereby get the best technical advantage of the multitude of functions offered by the camera. With the joystick it is possible to set focus, aperture and shutter speed, it also allows the exposure compensation. And also quickly shortcut to frequently used variables by just pressing and holding the Quick Menu button even while monitoring a subject on the LCD. A switch on the side of the lens barrel lets you quickly change the focus mode between MF, AF or Macro AF. When you focus in the Manual Focus mode, not only the focus distance but also the DOF (depth of field) according to the zoom range and aperture is displayed. The focus button on the top lets you directly choose auto-focusing point freely from the entire field of view with the 1-point AF or spot AF method. The same button works for a direct enlargement on the focused point when playing back the images. In both AF/MF, the subject just 1cm away can be finely captured sparing no detail of it. You can experience the dynamic close-up of macro shots. Notably in the AF mode, the newly added AF Tracking function automatically tracks the subject once the AF has been set even if the subject moves around, making it easier to capture sharp, well-focused photos of decisive moments.For setting the white balance, the LX3 provides a new color temperature display function in addition to the Two-Axis White Balance Adjustment offered in previous models. There is also a custom setting function that lets users store up to four sets of settings you often use in memory and instantly recall them later using the mode dial. Furthermore, the LX3 offers a Film mode with six color types and three types of monochrome to choose from. Much like selecting different film types with a film camera, this function gives the user the flexibility to produce more interesting and expressive images. When you use the Multi-film mode is, the camera produces max. three images from a RAW file for you to enjoy different texture of a film on one same picture. Another new feature is the multiple-exposure function which lets the user create artistic photo productions, overlaying up to three consecutive images while viewing the most recent image in the monitor. Clear, easy-to-see LCD is upgraded both in size and resolution to be 3.0-inch with 460,000-dot high resolution to offer even more comfortable view for both monitoring when shooting and for playing back the results. Extraordinary 3:2 aspect of the LCD on LX3 is familiar to those who are used to analog film cameras. The Intelligent LCD function detects the light condition and automatically boosts the LCD backlighting by max. 40% when shooting outdoors in bright sunshine, and adjusts the frame rate when shooting in low-lit situations in addition to using the pixel mixed readout method to secure clarity in such situations. Detecting the lighting condition precisely and automatically controlling the brightness with a total of 11 fine steps, this function gives the display the most appropriate clarity in any situation without using extra energy. Together with the newly adopted panel which boasts a wide viewing angle, it secures comfortable viewing while both monitoring shots and playing back the results in any circumstances. All Lumix cameras can take 1920x1080 pixel HD (high-definition) quality photos that perfectly fit a wide-screen (16:9) HDTV for full-screen viewing. The new DMC-LX3 even records dynamic HD motion pictures in 1280 x 720p at a smooth 24 fps, in addition to WVGA (848 x 480) and normal VGA (640 x 480)* **. With newly added HD component output capability, you can enjoy watching still and motion pictures in stunning HD quality taken by your DMC-LX3 by simply connecting the camera to a TV via an optional component cable (DMW-HDC2). The DMC-LX3 newly provides slideshows complete with music. Just select the pictures you want to show and choose the mood that best matches your selection from natural, slow, urban or swing, and you’ll get an emotion-filled slideshow with a variety of slide change effects and matching music without any annoying adjustments. If you make the slideshow with HD photos in 1920 x 1080 pixels, you can also enjoy watching an impressive HD slideshow with music on a large-screen HDTV by using the optional component cable. *In Motion Picture mode, the length of recording time depends on the capacity of the SDHC/SD Memory Card. (Up to the equivalent of 2 GB per motion-image recording.) When you set the motion picture quality to HD, WVGA, VGA, we recommend using a high-speed memory card with “10MB/s” or greater on the package. Some lens movement sounds may be recorded. **For Europe, motion images can be recorded continuously for up to 15 minutes. Last but not least, superb expandability is the key for LX3 to be literally a “system camera”. Mounting the optional Wide Conversion Lens (DMW-LW46)* brings the maximum wide angle all the way to an incredible 18mm. Optional equipment such as the ND Filter (DMW-LND46)* and new PL Filter (DMW-LPL46)* also broaden image-creating possibilities. The high-end aluminum External Optical Viewfinder (DMW-VF1) provides bright, clear viewing without wearing down the battery. And the optional GN22 Compact Flash mounts to the hot shoe which is newly added to the camera unit. ** These and other accessories let users build around the LX3 to create a powerful, versatile camera system that can take them as far into photography as they want to go. *Requires an lens adaptor DMW-LA4. **Flash unit (GN22) will be introduced soon. While the DMC-LX3 allows full manual control for more advanced photography, the camera also allows user to take perfect shots with outstanding ease. This is made possible by Panasonic Lumix’s iA (Intelligent Auto) mode. In iA mode the camera does all the work, activating Mega O.I.S. (Optical Image Stabilizer), Intelligent ISO Control, Intelligent Scene Selector, Face Detection, and Intelligent Exposure. This leaves the user free to simply compose the shot and press the shutter button, with the assurance that the image will be clear, beautiful and properly exposed. The LX3 offers a total of 23 scene modes, including the new Pin Hole and Film Grain modes that add unique, film-camera-like effects and ambiences to images. This wide range of modes lets the LX3 respond easily to any shooting situation. The actual effects of the scene modes can be viewed on the LCD before taking the shot. Now the flash has 1st curtain and 2nd curtain synchro settings to add effective nuance according to the scene. Image Leveling is another function that improves post-shooting convenience. When a recorded image “leans” to the right or left because the camera was held at a slight angle, the Image Leveling function rotates the image to straighten it and crops the unnecessary edges*. The USB port supports the 2.0 HS standard and the internal memory has been increased to approx. 50 MB – two further enhancements that add to the convenience and fun of using the LX3. Drawing on its vast expertise in consumer electronics, Panasonic is committed to creating a new photographic culture by introducing innovative, high-performance cameras and other advanced digital imaging products.